TRANSFORMATION will impart new ideas and perspectives, provoke thought and discussion about the nature, opportunities, and difficulties presented by change, its agents, and how it can be navigated and exploited. Join us on November 1st, 2013 at The Times Center in the heart of New York City! Click here to register now. 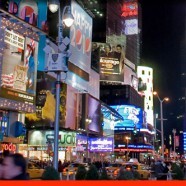 Live Streaming Online: TEDxTimesSquare is here! If you can’t join us in person, you can still join us online: watch live streaming video from the Times Center in New York City. TEDxTimesSquare is here!